I never originally reviewed these Vince Blair slip-on sneakers (similar here) because they’re not particularly ethically made so I thought it didn’t fit within the realm of my blog (though I did do a comparison post about it here and you can see how they first looked brand new). 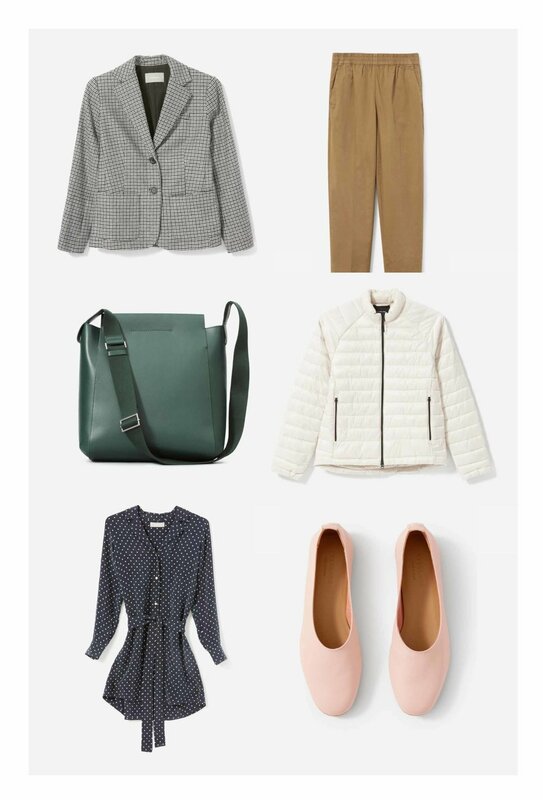 But as a reader reminded me, an ethical closet is not just about buying secondhand or from companies that tout themselves as ethical and sustainable, but it’s also about slowing down your consumption and really using what’s already in your wardrobe. 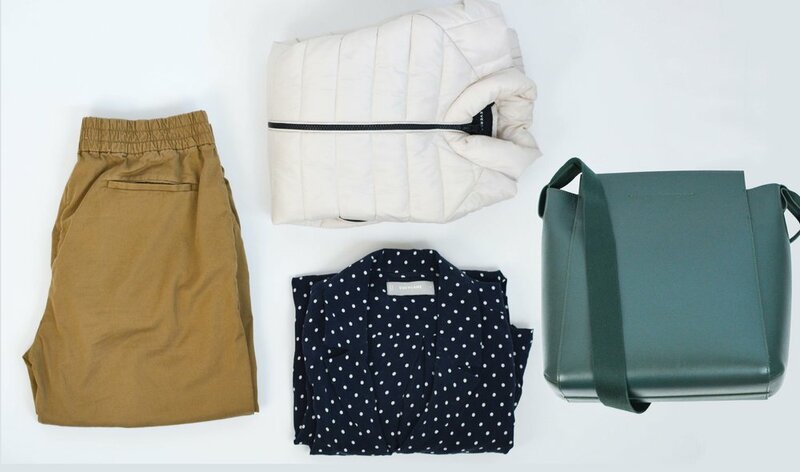 And you want what you have to be durable and worth it, so I really like doing these “100 wears later” posts (the first one was the Everlane Day Market Tote) to showcase how some of my favorite items have lasted. And since starting to use the Stylebook App (since Jan 2018) to keep track of my wear and cost per wear, it’s easier now than ever to see when I reach this 100 wear milestone. So how have these Vince Blair sneakers fared? They’ve held up like a champ! These are my first pair of Vince shoes but I’ve eyed their shoes in the past (oh and just to note, these run true to size for me. I got these in a 7.5 but I wear an 8 in Everlane and other narrow shoes. But if you have narrow feet I think they run large so you would want to go a half size down). Yet I could never bite the bullet and purchase them because of their somewhat steep prices. But when I found these at a Nordstrom rack (while shopping with a Nordstrom employee so I got even more of a discount), I couldn’t resist! And I’m glad I didn’t because these are my most worn shoes in my closet (other than my Everlane street sandals which are sadly no longer sold). I got a gray pair of Blairs, similar to this one or this one, and they hide the dirt well. Even the white parts of the shoe don’t look that bad. They’re super comfortable to slip on and off, and have a great rubber sole for grip. I wear these without socks and even 100 wear later, there’s no smell (granted I don’t wear them that often in the summer because it can get quite warm and I hate sweaty feet)! The inside are lined with leather and that might be why there are no smells (and definitely why they’re so expensive). The inner leather lining is so luxurious but comfortable and it would be awesome if all slip-on sneakers came this way. I’ve tried other similar slip-on sneakers, like the M.Gemi Cerchio (reviewed here) and the Rothy’s slip-on sneakers (reviewed here), but none can hold a candle to my Vince Blairs. The M.Gemi ones were too heavy and the Rothy’s are okay but just don’t feel as comfy as the Blairs and they’re also a tad heavier than the Blair. I also wear my Blair sneakers out in light rain and it does fine (though this might not be true of the ones that are all leather on the outside as well. I think my pair has a synthetic gray material for the top). The elastic pieces make the shoe fitted but not too snug and the inner sole is padded just right so I can walk in them for hours. These have been my go-to shoe especially during the last 6 months of pregnancy because they’re so easy to slip on (no shoe-laces baby) and they have such a great grip so I feel safe walking around them in even the most slippery of situations. Just like my last 100 wears post, I hope to write another review for these Blairs titled 200 wears later! Scene from last weekend’s baby shower, 20 days left till my due date! In preparation for the baby and thus a decrease in my blog posts indefinitely, I’m writing up some posts ahead of time. I really just want to get a lot of these ideas and posts out before my mind becomes all consumed with all things baby. So to anticipate this maternity leave of sorts I’m going to be shifting my blog post schedule to Tuesday and Thursday (so just twice a week) with a Weekend post on Sundays so that it might be awhile before you get any radio silence on this blog. But I’m sure I’ll be posting snippets on Insta story still if you guys are interested in my life with baby. Grechen’s post about privilege is a good reminder that we “ethical style” bloggers are extremely privileged to be able to do what we do (to even have the mindspace to be able to think about what we think about and to have the financial security to buy what we want). In Hawaii, we say “If can, can; if no can, no can” lol and I think that applies to us here in that if we can buy better/go vegan/use less plastic we should but if you can’t, you just can’t and there’s no judgement for that. And those that can, need to do more than just buy their way to better. There needs to be action (which I’m still thinking about). Luxe posted about some tough lessons learned while renting a car without personal auto insurance (but she had coverage through her Chase card). Being in Cali I’ve always had a car and thus car insurance so I never take the rental car insurance. But there’s plenty of good reminders on what to do when you are ever found with rental car damage. I loved Leah’s truly honest and authentic post about her assumptions: “And so, as a white woman reared in an Evangelical Christian, politically conservative culture, I tend to share "aha" moments and theoretical explorations as they happen to me. I've talked about colonialism, Capitalism, privilege, Christian hypocrisy, ignorance, and humility with a framing that assumes that my reader needs to hear about those things, because, of course, *I* need to hear about those things. But I am now recognizing that my reader can be anyone at all. And sometimes my framing, while useful for an audience that is some iteration of "me," can read as trite to someone who has not only explored these questions in greater depth but may, in fact, have been born into a reality that has forced them to absorb and answer to these negative paradigms since birth. I apologize for assumptions that belittle those experiences.” Dang her writing is so good! Andrea’s tips on keeping your white/light colored clothes clean looking is so great. I second her high opinion of the Oxiclean Maxforce gel stick and have used it consistently myself to get stains out. I’m really liking the look of this tie-dye skirt and have even gone so far as to look up how to dye silk in order to try to do a DIY version of this using some Grana silk items I have. But realistically, I don’t think I have time for that. I was very curious myself of the difference between the Alice & Whittles rain boots with Everlane’s rain boots so I was glad to see Karin do a comparison post of them here. And finally I love Ceely’s Marvelous Woman Monday series, and this past week she featured an everyday hero who took action to help the homeless in her community. Happy Valentine’s Day you guys! Just wanted to announce the winner for the $200 Rothy’s gift card is Lisa A (you’ve been notified)! As for me, I’m just taking a tour of labor and delivery later today and have been busy with a bunch of Kaiser baby classes so no post yesterday and no post tomorrow!